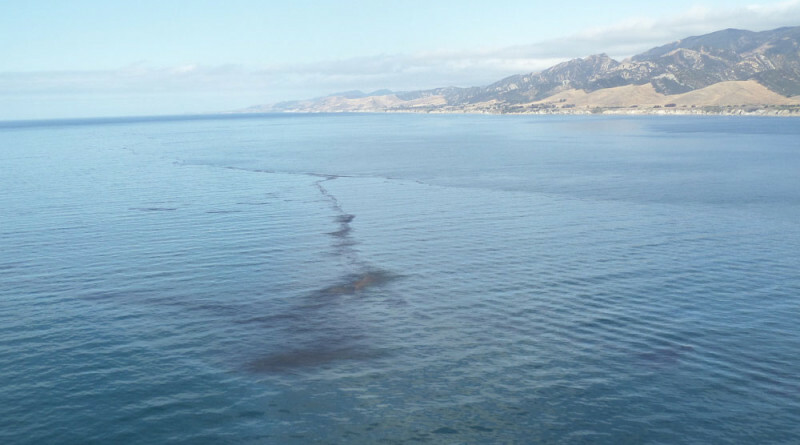 SANTA BARBARA — Cleaning up the coastline impacted by the May 19 Refugio oil spill has cost the oil firm responsible for the ruptured pipeline at least $92 million, according to a company spokesperson. Plains All American Pipeline, the Houston-based oil company who claimed responsibility for the pipeline that burst nearly two months ago, anticipates costs will continue to add up during the next few months. Hodgins added the cleanup was organized across five zones: water, beach, bluffs, culvert and release site. “On the water, all visible released oil was collected some time ago. As previously reported, the released oil from Line 901 was no longer visible on the water by Day 4,” said Hodgins, adding 93 percent of the affected coastline has been cleaned up. Line 901 is how the oil company identifies the 24-inch pipeline that ruptured off the Santa Barbara coast on May 19. The spill resulted in the loss of some marine life, closures of two state beaches and about 138 square miles of coastline and ocean declared off-limits to anglers, boaters and commercial fishermen. Only Refugio State Beach and the area where the pipeline burst remains closed to the public. The pipeline’s owner, state officials and local volunteers have made significant progress in cleaning up after the oil spill, which is Santa Barbara’s worst incident of its kind since 1969. According to the EPA, the Refugio oil spill was the largest environmental accident in California in the past 25 years. Initial reports indicated more than 100,000 gallons of heavy crude oil released into the ocean when a 24-inch underwater pipeline owned by Plains All American Pipeline ruptured on May 19. 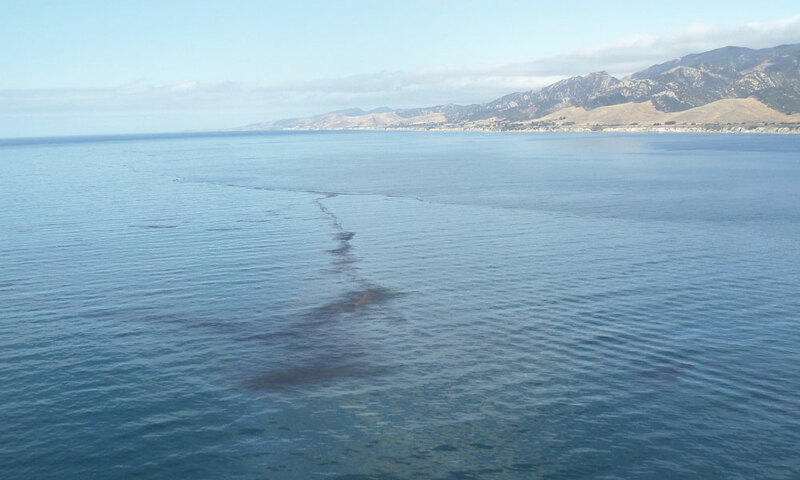 California’s Department of Fish and Wildlife (DFW) reopened El Capitan State Beach on June 26; however, the fishery west of Coal Oil Point and Gaviota Beach remained closed heading into July. Refugio State Beach will remain closed until July 9, though DFW announced the closure could be extended if the state does not make enough progress with the cleanup operation. Boaters impacted by the oil spill can have their vessels decontaminated at one of two locations in Ventura County. The Refugio Response Joint Information Center, which is operated by the Unified Command, directed large vessels to Port Hueneme for decontamination; smaller boats were directed to Ventura Harbor Boatyard to be cleaned. For more specific information about decontamination, visit bit.ly/1Gw1T9z. State officials are still trying to determine the full impacts of the oil spill. On June 8, the state’s Spill Watch monitor reported 2.82 barrels of crude oil reached a dry stream in Kern County, sparking an immediate cleanup and investigation. DFW reported the same day plenty of fishing was to be had in Santa Barbara County but also urged anglers to observe the fishery closure near the pipeline break. A sailor in Redondo Beach who navigated his sailboat near King Harbor about a week after the oil spill alleged a portion of his vessel was damaged by tar that originated from the ruptured pipeline northwest of Santa Barbara (see story in Blips on the Radar). DFW released a report on June 22 connecting a tar ball found in Manhattan Beach, which is only minutes away from King Harbor, to oil released from the ruptured pipeline near Refugio State Beach. “[DFW’s Office of Spill Prevention and Response] determined that the Manhattan tar ball sample matched the source sample taken from the Refugio Incident oil spill. Further, the OSPR lab determined that the sample did not match local natural seep oil or oil from vessels in the vicinity around the time of the tar ball event,” said Alexia Retallack, a DFW spokesperson. A copy of a media strategy report prepared by representatives from the U.S. Coast Guard, Environmental Protection Agency (EPA), DFW and Plains All American Pipeline and obtained by Santa Barbara Independent revealed confirmed tar balls and patties discovered along 6.5 miles of shoreline between El Segundo and Redondo Beach were still being investigated for possible connection to the Refugio Oil Spill. The media briefing report, which was shared publicly by Santa Barbara Independent on June 22, announced a strategy to obtain as much good press as possible, including detailed reports of six local and regional journalists the Unified Command’s Joint Information Center — the formal name for representatives from the U.S. Coast Guard, EPA, DFW and Plains All American Pipeline — should target for favorable coverage. Part of the media strategy addressed how the Unified Command should address impacts to marine life, such as grunion. Specifically, nighttime cleanup operations were to be suspended so as to not interfere with grunion spawning runs. The report also stated shore-based shellfish collection and fishing was prohibited anywhere within the fishery closure. Officials recovered 192 dead birds and 103 dead mammals as of June 21, according to the Unified Command. Updates about the Refugio Oil Spill, including its impacts on marine life, can be found at refugioresponse.com or line901response.com.